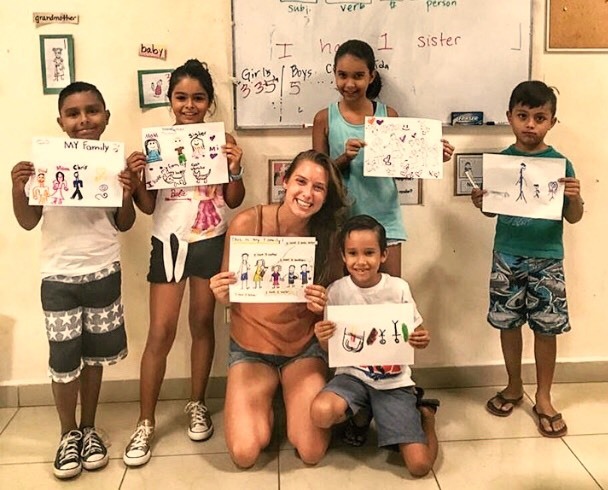 My name is Megan Barnett and I originally moved to Nosara, Costa Rica in 2016 and began teaching English a few hours a week for a local nonprofit. I had heard great things about the Costa Rica TEFL program in Samara, but opted for a “cheaper” option and enrolled in a 200 hour online TEFL program. By the end of the 2-month online course, all I had gained was a better understanding of English grammar. I felt like I had wasted my money, and still had absolutely no idea how to actually teach English. I decided to apply for the Costa Rica TEFL program in January 2018 and am so happy that I did! 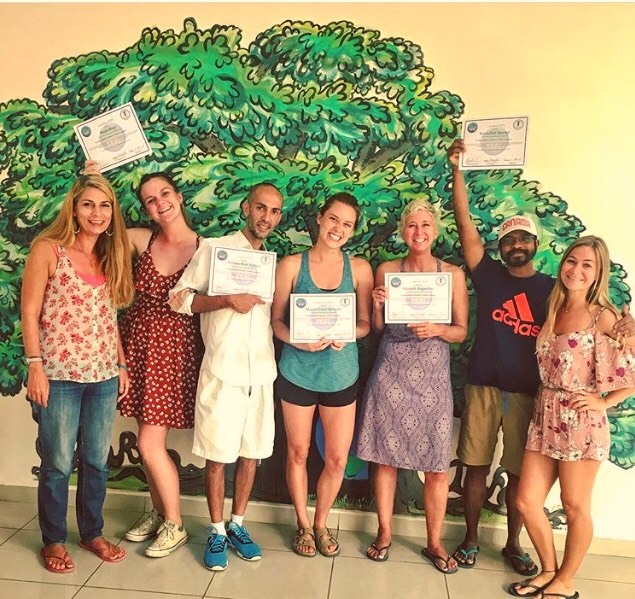 In comparison to my online experience, I graduated from the Costa Rica TEFL/TESOL program with confidence, a plethora of engaging teaching tools and a bulletproof lesson planning method. Below are 5 reasons why the Samara Costa Rica TEFL program far outweighs any online options. 1. Bullet Proof Lesson Planning Techniques: On the first day of the Costa Rica TEFL course we were introduced to the program’s lesson planning template. The lesson plan template is easy to use and focuses on implementing real-life target language and really getting students talking! Instead of lecturing at the board, the teacher is simply the facilitator and leads students through a series of games and activities that help them speak in the target language. I continue to use the Costa Rica TEFL lesson plan template in all of my classes. 2. Engaging Teaching Games: Throughout the TEFL course we were taught more than 60 games and activities to use in the classrooms. By the end of the course, we compiled these into our own “activity libraries”. These games are focused on facilitating the target language for students in an engaging way. I always reference my “activity library” to make sure to shake up the various activities I use in my classes. My students have told me that the TEFL games that I incorporate into class help them better understand the grammar and have increased their student talk time which is my goal as a teacher! 3. Personalized Feedback: One of the main reasons I decided to enroll in the Samara TEFL Program was for the teaching feedback. After our daily TEFL training sessions, we had to teach our own English classes to local students while one of the instructors observed and critiqued our class. While this initially seemed a bit stressful, it was one of the most helpful and insightful aspects of the program. The instructors are extremely talented and take the time after each class to walk you through what went well during the class and what you can improve upon. It was a supported, growing process. 4. Living in Playa Samara: The small, coastal town of Playa Samara is full of charm. I chose to live in the Del Fin neighborhood and loved being able to buy fresh tortillas in the morning and see the cows and horses walk the road munching grass at night. Some of my students in the TEFL program actually ended up being my neighbors, which built an incredible sense of community. Samara is also known for its beautiful beach, so during lunch breaks, I would walk from campus and put my feet in the ocean and then dive in on the weekends. 5. Job Support: I cannot say enough positive things about the program director, Barbara, and her support for the TEFL program students. By the third week of the program, she had already found and placed two out of five students in Costa Rican teaching jobs. She not only has an incredible number of connections in the teaching world, she also takes the time to meet with students individually to learn about each students teaching aspirations and genuinely cares about helpings the students achieve their goals. All in all, the decision to take a face-to-face TESOL course in Playa Samara was one of the best decisions I have made in my TEFL career. I have the confidence and know-how you can only gain from actual hands-on teaching practice. By the time I graduated, I was truly prepared to teach my ELL students and enjoy the process!